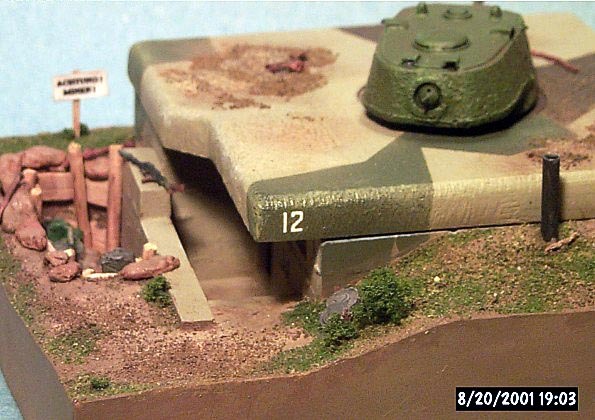 This is a model of German KV Stellung I built last year. It’s built out of LEVA kit # 72-F-05. 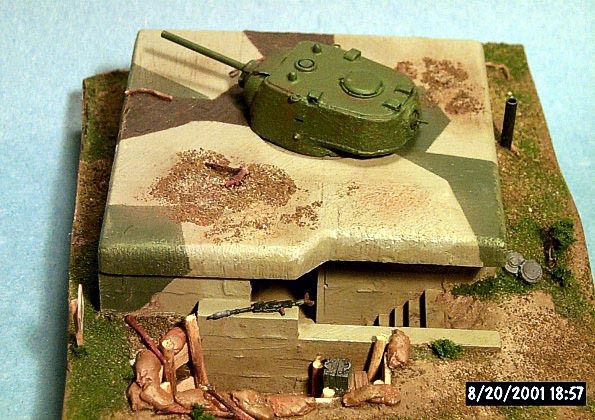 All resin kit: four walls in scale thickness, roof, Soviet KV-1 turret, gun barrel and armored door. The texture of poured concrete is done very well both on the inside and exterior surfaces. No weapons or interior accessories are included. This is one of a number of concrete emplacements and bunkers done by LEVA. During WW2 the Germans produced many concrete bunkers using old tank turrets for both their East and West Walls. After gluing the bunker to its base I built up the sides with foam to give it the impression of the bunker buried in the ground. 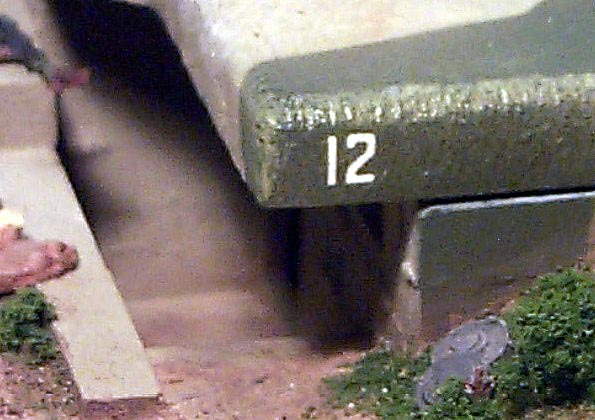 Greenery from model railroad supplies was used to finish it off. A good wargaming kit as well as display model.